Posted November 7th, 2016 by Berkley CP & filed under Articles. Contractors’ professional liability (CPL) and pollution policies continue to grow in popularity as differing project delivery methods blur the lines between design and professional services in the changing construction industry. While the majority of the insurance forms most commonly purchased by contractors — commercial general liability or workers’ compensation — have been “standardized” by the Insurance Services Office Inc. (ISO), it’s important to note that all CPL policies are custom drafted and self-regulated with varying terms, conditions and approaches to claims handling. CPL coverage is ideal for insuring against the economic damages associated with what may be perceived as a mental error in the capacity of a professional, not the actual physical activities resulting in a bodily injury or property damage claim. This involves the damages arising out of the acts, errors and omissions of professional services performed by or on behalf of any construction firm; be it a general contractor, de­sign-builder, construction manager (at-risk or agency) or specialty subcontractor. In addition, pollution cover is also often included to overcome commercial general liability policy exclusions. Written on a “claims made and reported” basis, meaning a claim must be made against the insured and reported to the insurance company in the same policy period, CPL policies clearly state that the “insured” must not have had knowledge of the claim prior to the beginning of the policy period. Some CPL policies are further delineated with references that specify those individuals required to have claim knowledge, while others are even more restrictive through “should have known” language. Both distinctions, if not seriously and carefully considered at the time the claims are filed could have a major impact on coverage, possibly even resulting in its declination. The definition of “professional services” also varies greatly among CPL policies. There are services that a contractor performs that can be considered “professional services,” but are not performed by licensed professionals. For instance, the coverage could then be limited under the policy if these stipulated “professional services” are bound exclusively to the performance of “licensed or legally qualified” individuals. Some policies may even be further restricted by construction management definitions cited within the contract, or worse, when the actual construction work is not undertaken or not performed according to specific means and methods, even if the professionals are not insured elsewhere.Other policies have even been known to restrict the coverage for protective claims to entities either directly contracted for the work or professionally licensed to perform architectural, engineering and land surveying services. As a result, protective coverage should be a standard in every CPL policy. 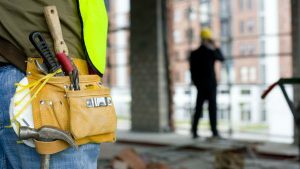 It is a first-party indemnity insurance, which is essential for insuring against the design/build damages incurred from the negligent acts, errors and/or omissions of the subcontracted design and construction firms providing delegated professional services in excess of their individual insurance policies. For example, in design/build projects, contractors are most likely to internalize liabilities and use the protective coverage to seek first-party damages. With the protective, the claims handling approach is also important because some insurance companies will take the position that all underlying policies, even unrelated to professional liability, must be exhausted. Another key is the need to include some form of “proactive approach” to the claims resolution process. With this condition, the carrier is forced to affect a settlement once a claim is validated and advance the funds needed to correct flaws and advance the project work. This is essential when project delays create overrun costs if not immediately remedied or the underlying carrier contests the claim without merit. Equally important, a CPL policy should have some kind of mitigation of damage or rectification coverage. If the carrier internally validates portions or all of the claim during the course of construction or litigation, money can be advanced on an ongoing basis to help the contractor bring the project, as best possible, to completion on time and within budget. Ultimately, this amount would be recovered from the responsible parties, but the primary goal is to make sure the work continues. Another element to consider when purchasing a CPL policy are the exclusions. Some policies contain “cost overruns” and “project delays” exclusions — including the failure to provide services on time — which are primary drivers for business losses and can have a material effect on coverage. In addition, cyber, patent or copyright infringement exclusions also impact coverage as technology continues to proliferate in the construction industry. Given the wide differences in approach to drafting coverage provided by CPL policies in the current marketplace, a contractor needs to be extremely cautious when choosing the insurance carrier best-suited to protect their company from liability and catastrophic losses. Subsequently, it is always prudent to carefully discuss the appropriate options with brokers and reach out to knowledgeable, experienced sources when questions arise. Raymond F.H. Bustamante is executive vice president of Berkley Construction Professional Underwriters, a W. R. Berkley Company. Bustamante can be reached at 973-600-0926 or RBustamante@BerkleyCP.com. This article was originally published in Property Casualty 360.